Select the Restore to a specific point in time option to obtain selected database files as per selected time interval of the current restore point. Use the slider control to choose a time interval you need. 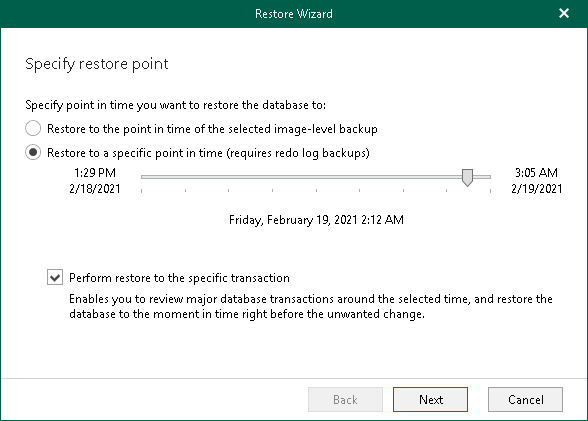 The Restore to a specific point in time option is only available if archived log backups exist. For more information, see Required Backup Job Settings. The Perform restore to the specific transaction option requires a staging Oracle server. For more information, see Configuring Staging Oracle Server.